Discussion in 'Works In Progress' started by drcrck, Jan 25, 2019. GDOC is a dynamic GPU occlusion culling solution that increases FPS by hiding objects that are not visible by the camera, drastically reducing draw calls. Compared to the built-in occlusion culling, GDOC works at runtime and doesn't need baking. The scene is generated at runtime, nothing is baked. All meshes cast realtime shadows from 1 directional light that moves around the scene. It's not really fair because scene view kills the performance. Check out the video to see how it works in builds. Elecman, WildStyle69, Gametyme and 7 others like this. tip: you should compare it with Unity defaut oc. hopeful, WildStyle69, KingLlama and 1 other person like this. Very interesting, hope to see your OC soon on the store! Oh boy have I got a scene to test this out on for YOU. I'm working on a huge scene for a real world city building project with millions of tris visible almost every frame and full of geometry not optimized for an interactive Unity environment. Our standard baked occlusion culling isn't really doing the best job, we think, so I'm always on the lookout for new solutions. I'd love to test this ASAP! @drcrck does this support Multiplayer/multi cams/display? I'm afraid it can't optimize your scene for you. If baked OC doesn't improve performance, this one can't as well. Can you show some screenshots of your scenes? No, it currently supports only 1 non-vr camera. More features will be added later. Is it compatible with something like vegetation studio which already uses gpu ? I have a game where the whole world is made of dynamic chunks, which are itself set together to one mesh from voxels, some just cubes others meshes. I can either set each chunk to be static, or turn that off and have all materials gpu instanced, both works fine. I have a Problem with the Performance (each chunk is 10x10x10 blocks) when viewing distance gets higher, could this help in my case, too? You can easily test this manually: disable chunks which are inside the camera frustum, but occluded by other objects (i.e. can't be seen by the camera). Are there such chunks? Does disabling improve performance? I once tried this myself, but I do not know if I did it right. CheckChunksVisible(); // todo Thread? StartCoroutine? I could do this with StartCoroutine. I just don't know if the method CheckChunksVisibleis useful this way. Or if there is a better way. Maybe also hide chunks that are behind other chunks etc. I thought your asset is doing this on the GPU? Maybe also hide chunks that are behind other chunks etc. Yeah but the outcome is disabled chunks. And you can do it yourself to approximate the potential effect of OC. Does your asset work with transparent parts also? In my case like a Ground chunk under a water chunk? Or a large Building but with big windows on all sides? I would really like to test and give you feedback and when it is helping and not too expensive I will gladly buy it. Then it will help. Especially if you have realtime shadows from the sun, so invisible underground chunks are also rendered into the shadowmap. Yes I have these! I am using "Enviro" and also additional torch (point) lights etc. I just got a chance to check it out. It looks very promising! I can see your asset being a hit on the Asset Store as it does indeed work. I fiddled with it a bit and was able control the layers it affects (very handy!) and how aggressive it was. How much CPU does it use? I know it mainly runs on the GPU...just curious the workload on the CPU. By default, it consumes 0.050 ms per frame to scan currently active scenes to detect new objects and process them according to the layer rules you mentioned and other settings. Also it spends another 0.050 ms to validate active occludees and remove them from the GPU buffers when their gameobjects are removed from the scene. You can change the time limits or completely disable the first feature if it doesn't fit your game (there are other ways to manage objects). The real time consumer is dynamic occludees because their transforms must be checked every frame and all changes must be sent to GPU. It's expensive and most likely it's faster to simply draw them, especially for instanced objects. More details in documentation (soon™). Other than these 3 things, nothing important is done on CPU. My game is currently CPU bound so that is the biggest concern for my game. That's very little CPU time, so that's great. Have you done any tests to see how much of a savings there are for not rendering vs running the occlusion code on the GPU? My game is currently CPU bound so that is the biggest concern for my game. Sorry, I meant rendering calculations to determine if a renderer should be enabled or not vs just rendering it. I noticed that some of my renderers where being occluded when they should not be, the seamed to be smaller items. I could seem to get them to stay visible without turning off and on. Yea, I have it reduced it to zero already to might be a bug. Curious, how are you handling cutout shaders, like a chain link fence? Also, when do you plan on releasing it to the asset store? First post updated with a new demo scene! This time it has 100000+ mesh renderers, 18000+ particle systems, 6000+ point lights and 1 directional light with realtime shadows. PM me if you want to test it in your project! Osher, zmaxz, christoph_r and 2 others like this. This scene is smaller, but the camera is above the roofs so it's actually harder to render, even after OC. 1. LODs are not used. With LODs, the performance will be better in all cases and the difference will be less drastic. 2. FPS is as it's shown in Stats, and timings are from RenderDoc, so they might not match. I think it might be better with non-default baking settings but it would take too much time to try it. Bodyclock and Firlefanz73 like this. zornor90 and spaceemotion like this. How are you handling meshes that use cutout shaders? Can those be excluded? They don't require any special handling, it just works — all shaders end up in the same depth buffer and once it's rendered, you can't tell was it a cutout shader or a complex mesh. Is there any fine grained control over which meshes can be occluders? I know you are using layers, but there are some gameObjects that require special handling and need to be the same layer because of lighting. A chainlink fence shouldn't be able to hide any objects behind it since its mostly gaps and you would be able to see occlusion at work. Is there any fine grained control over which meshes can be occluders? Hi, how do you make objects not render? Changing .enable of renderers? And does this have delay from GPU to CPU or everything is done in one frame? Really cool plugin, at last modern occlusion culling in Unity. It does, so I'm using some techniques to make the delay acceptable in most cases. 1) Wait for GPU to readback the results (not an option actually due to extreme performance impact). 2) Draw everything indirectly. 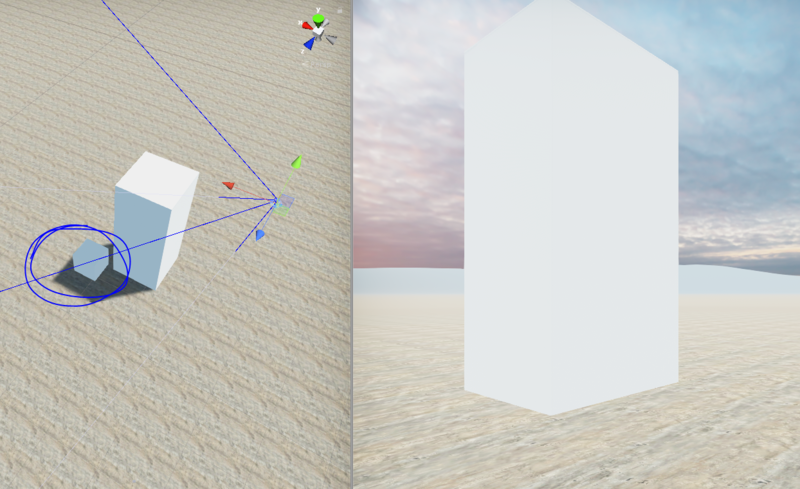 It requires very deep integration into the engine, especially for lights and other objects that are not mesh renderers. Good option but not possible for an asset. Does it work with LOD Group? I was on #General, didn't look at #News. I ran around a lot. After a longer while again I had a hole in the landscape. I pressed F1, and it was gone. Again I pressed F1 and gDoc was working again, no hole. Happened only one time. Not supported yet: Vulkan, VR, HDRP. Will be added in future releases. What are the chances of getting something like this to run on mac/linux builds? It will be added in future releases, but no ETA yet. I tested the demo package on my large outdoor map with 1km x 1km but it doesn't seem to make much difference. I'm using Vegetation Studio Pro for trees and foliages though. Is it supposed to work well in outdoor terrain scene? Yeah, it's not flat terrain so visiblity is somewhat limited. I see. I'll try to test once again when VSP support is in. Thanks. GDOC is now available on the Asset Store! Will it be possible to use multiple cameras in a later update?